The K6 Reception is one of Golden Wind Furniture’s latest innovations in the reception station market. Featuring espresso coloured melamine with an astounding white trim and a transaction counter top with a frosted glass sheet at the front, the K6 reception will become the focal point of your reception area and give your business the first impression it deserves. 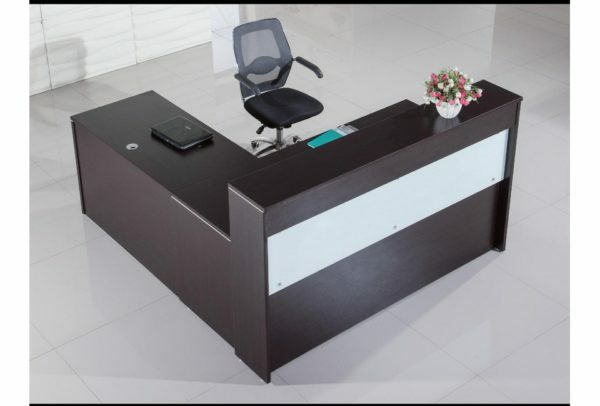 Available in espresso colour, with dimensions 73”W x 80”D x 43”H this reception comes with an LED bar included.